When you are in need of Oak Park Towing do not hesitate to call Dependable Towing Company. 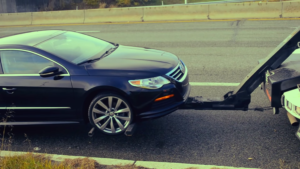 Need assistance from a reputable towing company then give our tow truck service a call. We are here to serve all of your towing needs. We are a reliable and affordable towing company that will get you back up and going in no time. Our drivers are skilled and will take good care of you and your vehicle in your time of emergency. Not only do we handle Oak Park towing but we travel throughout the Metro Detroit Area. If you are in Southfield we cover Southfield towing as well. We are conveniently located in the Metro Detroit area to reach you within 15 to 30 minutes. Let one of our experienced drivers assist you. Our drivers do their best to be reliable by arriving on time when you need us the most. Locked out of your car? No problem. 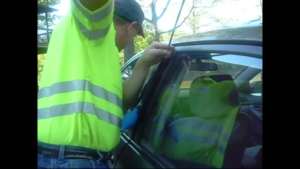 Our tow truck drivers can have you in your vehicle in no time. Our team of tow truck drivers work hard so that you can get to where you need to be. Hard and fast work is what we have come to be known for. Learn more About Us. We provide towing service for people with damage or old running cars. Our desire is that you are not stressed about having your car removed from its current location. There are plenty of Junk Cars Detroit that need towing. This is due to the fact that car maintenance is very costly and car owners can’t afford to fix. If you have an unexpected accident or just decided to chuck old Betsy then we here at Dependable Towing an Oak Park Towing company will happily come and remove the vehicle. Well, to those who want to get rid of such unnecessary stress… Call us and we will give you Cash for Junk Cars here in the Metro Detroit area!! We will take your old and damage cars, then no need to worry anymore. Our pride comes from being one of the best companies that can help you as far as old, malfunctioned and damaged cars are concerned. All you have to do is to sell your junk car to us and we’ll tow it away. Our 1st recommendation is that YOU stay safe. Safety is the number one goal! Review our link about roadside tips. Have you cellphone charged in a towing situation. Our drivers will need a line of direct communication to you. Towing Oak Park is our main area so if you are beyond this area be sure to give us accurate directions to reach you. Once we arrive it would be a good idea to take any personal valuables out of the vehicle especially if you plan on leaving your vehicle at a shop. Check out our roadside tips for more details. 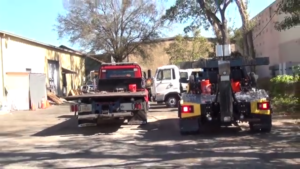 Quick reliable response times make us one of Oak Park’s best tow truck services in the area. Oak Park is a connection city we serve Southfield towing as well as Detroit Towing. We help many of our customers who are stranded on the busy streets of 8 mile and on I-696 where tow trucks may be needed. Our location allows us to quickly jump into action to meet the Oak Park area demands. Let us know how we can best serve you by filling out the contact form.